The Jotsoma Village Council on Thursday has sought clarification from All Nagaland College Students Union (ANCSU) president Katho P Awomi on what basis and under what authority he made a ‘threatening statement’ at a meeting with Nagaland Chief Minister, Deputy Chief Minister and Chief Secretary on Tuesday. The council has given three days’ time to Awomi to clarify and warned that it should not be held responsible for ‘any untoward incident arising from this issue’ if he fails to do so. 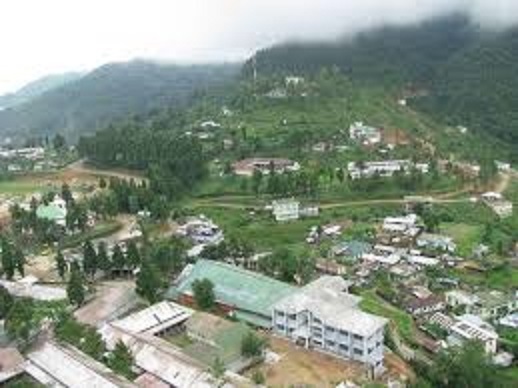 At the meeting, Awomi reportedly threatened to dismantle the Doordarshan Kendra, public health engineering department water reservoir and the Regional Centre of Excellence for Music and Performing Arts Music Academy hall and shift Kohima Science College out of Jotsoma village jurisdiction. The village council considered the ‘threatening statement’ as not only an insult and a direct challenge on the village but also as an insult to the Chief Minister and other officials present in the meeting. In a release, the council also alleged that the ‘same person’ had issued a statement, which was also reported in the local media on April 24, that the above three buildings would be vandalized. The council also said it could not understand as to why the ANCSU president is targeting Kohima Science College Jotsoma or to shift the college out of Jotsoma village jurisdiction when land encroachment exists in all government colleges in the State. The college students of the State have been boycotting their classes since Monday until the State Government addressed its three-point charter of demands submitted to the Chief Minister on August 10. It cautioned that any college students defying the call would be dealt with seriously as the volunteers would be monitoring the institutions. The ANCSU said it would intimate the students to resume attending classes through print media and college student unions once the State Government addressed their genuine demands.